European weapons makers to consolidate, the German government’s armaments director said on Wednesday, and warned that failing to reduce the continent’s fragmented defence industry could make Europe obsolete. Arms makers need to move beyond mere cooperation agreements and deepen ties, Benedikt Zimmer told hundreds of industry executives and military and government officials at the Berlin Security Conference, and said the drive was supported by the top levels of the German government. “You can call me a dreamer, but if we don’t get it done, we are on the best way to making Europe obsolete,” Zimmer said. The German call for consolidation is significant — it was the German government that in 2012 blocked the merger of Britain’s BAE Systems and Airbus, worried that it could result in the loss of high-paying jobs. Mergers in sensitive areas such as defence must be approved by national governments and European Union authorities, so a green light from Germany could help stimulate more M&A activity, industry executives said. In a separate speech in Berlin, German Finance Minister Olaf Scholz echoed Zimmer’s comments, saying European Union member states should work together more closely on arms procurement to save money and become more effective. Mergers would also have to occur, he said. “It’s no secret: There will be and there must be consolidation in the European armaments industry,” Scholz said. Scholz, a member of the Social Democrats, who often oppose exports of German arms, said a unified European approach would also ease pressure on companies to export their goods to sometimes problematic buyer countries outside Europe. “If the European market for weapons grows, exports will become less important,” Scholz said. Scholz also backed a push by French President Emmanuel Macron to move towards creation of a European army, adding that deployments would still have to be approved by national parliaments. 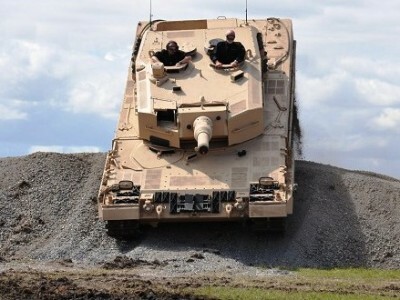 Zimmer said rapidly increasing costs of new weapons systems could help drive change and provide new impetus to consolidate the large number of makers of disparate tanks, fighter aircraft and other equipment now built and operated in Europe. In the past, he said, there had been a bit of a stalemate – industry and political leaders each deferred to one another, and none pressed ahead. He said it would take time, but industry could play a constructive role in offering more unified weapons programmes that could help reduce the “national walls” that currently protected each respective country’s industrial players. Zimmer also acknowledged concerns about the slow pace of weapons procurement in Germany, and called for a more differentiated approach that minimised risk but did not insist on so-called “gold-plated” solutions.